Enjoy Breathtaking Views & The Sound of the Surf . . . . . . Ideal West Maui Locale. Enjoy Paradise Found from your own Beachfront Maui Condo Rental Nestled between the World-Class Resort communities of Kaanapali and Kapalua . . . at the Stunning Kahana Sands Resort. Experience Breathtaking Views and the Sound of the surf from the Privacy of your own Deluxe l-Bedroom Oceanfront Maui Condo Rental, 2-Bedroom Beachfront Maui Condo or Luxurious 3-Bedroom & 3-Bedroom penthouse Maui Vacation Rentals . . . While enjoying another Magnificent Sunset from the Privacy of your Spacious Lanai as the Gentle Trade Winds Caress your senses, framed by the Majestic Islands of Molokai and Lanai! 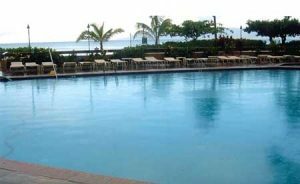 Your Maui Tropical Vacation Getaway Features your own Mile-long Sandy Beach Simply Ideal for swimming, snorkeling or soaking up the warm tropical sunshine. Surrounded by Lush Tropical Grounds and Swaying Coco Palms, additional amenities for your vacation pleasure feature a beautiful Oceanfront Pool and adjacent Whirlpool Spa, Separate Kid’s pool, lighted Tennis Courts and Sand Volleyball Court. 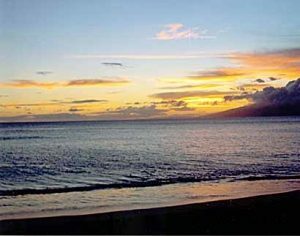 At Days end prepare your own “fresh catch” on our Gas BBQ’s, while experiencing another Magical Maui Sunset. 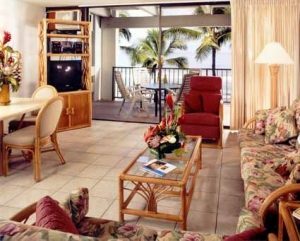 Relax in Comfort & Style from the Spaciousness of your Beautifully Appointed Maui Beachfront Condo Rental, featuring a Hawaii rattan motif. Prepare your Favorite meal in your fully-equipped Kitchen, then relax on your own Private Lanai with your favorite Tropical Drink . . Listening to the Sound of the Surf overlooking the Emerald-Blue Pacific while Enjoying the Spectacular Oceanfront Views! Welcome to Paradise Found at your own Private Maui Beachfront Condo Rental . . . 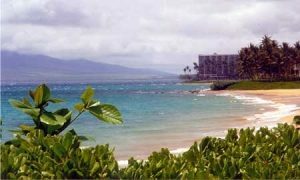 Ideally Located on the Golden Sands of West Maui, between the World-Famous Resort Communities of Kaanapali and Kapalua . . . Featuring Spectacular Views and the Sound of the Surf Nestled on a Mile-Long Sandy Beach. Paradise Calls at the Kahana Resort. 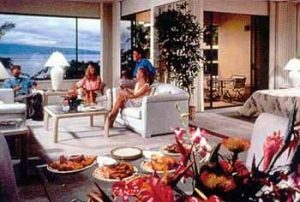 Your Beachfront Maui Condo Rental Features your Choice of Spacious l-Bedroom Maui Condos that accommodate 4 guests; Deluxe 2-Bedroom Maui Condo Rentals that sleep 6 people; Or Luxurious 3-Bedroom/3-Bedroom Penthouse Maui Vacation Condo Rentals that accommodate 8. All Linens & Towels provided.